Is demand for 2015 WRX already falling short of expectations? 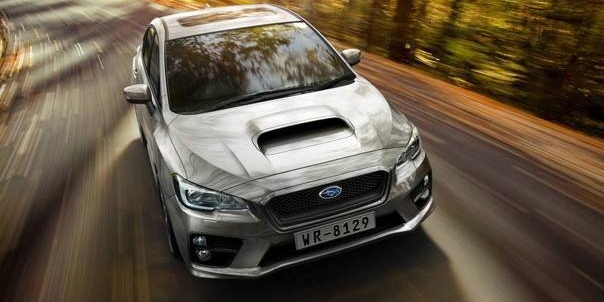 Subaru Australia is giving its first 100 customers a chance to pre-order the new 2015 WRX online. But initial responce is disappointing. In a surprising announcement made yesterday by Subaru Australia, the Japanese automaker said they were giving its first 100 customers the ability to pre-order the new-generation 2015 WRX online. On the companies Australian website, starting at 12 p.m. yesterday, customers could be allocated an individually numbered car upon delivery, plus get their first scheduled service for free. But interested buyers had to put up a $2,500 deposit to secure the new performance car. Subaru offered a similar online ordering program for the popular BRZ and the saw the first 201 allocation orders for the two-door coupe sell out in less than three hours. But unlike the BRZ, according to Car Advice, the new WRX saw just one deposit placed in the first hour after the online site opened. And after 24 hours, only six more orders were placed. Is the new-generation WRX falling short of expectations? In the announcement, Subaru Australia managing director Nick Senior said the online ordering program was introduced following “significant pent-up demand” for the 2015 WRX following “a huge spike of interest in WRX” on its public website after the remodeled performance car made its global debut at the Los Angeles Auto Show last week. But the online orders tell a different story. Subaru has yet to announce pricing on the new 2015 WRX and it’s expected to go up. Senior said last month it would come with a higher price tag than the outgoing model. "We launched the WRX at $39,990, 20 years ago. It's still $39,990 today – it's an incredible value for the money. But there's no doubt there's going to be substantially more kick, equipment and technology, in the new car." Pricing and specifications will not be announced until closer to launch in March, 2014, and customers making online orders will have the right to have their entire deposit fully refunded. But how many buyers want to fork over $2,500 without knowing the sales price? Could Subaru be gaging interest before they decide on how much they can charge for the new WRX? It could be many WRX fans are disappointed with the new WRX styling and expected it to look more like the WRX Concept car. Even though there have been significant upgrades to the performance cars suspension, steering and handling, the exterior styling fell short of many fans expectations for the newly remodeled WRX. We’ll see how sales go when it hits dealer showrooms. The pre-order site for the WRX will remain open until 11:59 pm on December 13, or as soon as the 100 WRXs are pre-ordered, whichever occurs first. In the announcement made yesterday, Senior, said, “This initiative will offer our most dedicated WRX fans the opportunity to secure their car early, while also adding cachet to their purchase by getting an individually numbered vehicle.” But it looks like the most dedicated fans in Australia are speaking by not ordering the new WRX. Subaru said after the first 100 pre-order deposits are taken, sales will continue through the traditional Subaru retail network. Subaru was hoping to see the 2015 WRX pre-sales to be a harbinger of things to come when the car reaches showrooms in March. Will dedicated fans get more excited once they sit in and drive the new WRX? Tell us what you think. Stay tuned. The biggest item, I have seen, that people are complaining about is NO HATCHBACK !!! Many younger guys can talk their wives into a WRX's because of the utility of a hatchback. Subaru really needs to address this issue, otherwise sales will be lackluster at best, from what has been indicated, on many Subaru forums !!! If that's the case then why did the BRZ/FT 86 sell so well? No hatchbacks? That's how I sold the wifey on the WRX, fun for me but practical at the same time. Not to mention I'm glad I got the hatch. Try stuffing a hockey bag into the sedan, it's doable but not fun. 46 cars are left as of now. The pre-orders does not surprise me at all. The formulae is quite simple. Make good looking cars with decent power and fuel efficiency and they WILL sell. Subaru were on the right track with the concept with all of my friends who are into car saying that they would buy one including me who is not a fan of Subaru. The concept looks amazing and I would definitely get one as I'm waiting on a decent car to come out. 2015 seems to be the year. But if the style of the WRX that is to be released is anything to go by on then I'm afraid sales won't be as hight. The BRZ/FT 86 sold well because it was good looking car with decent power (maybe a little lacking) and has good fuel efficiency. Why do car companies make ugly cars? The BRZ is HALO car, once all the people get the BRZ that want them, sales will fall off, like they are now, all you have to do is look on dealer sites and you will find many have several BRZ's sitting on their lots, the three where I live have at least 6-7 each sitting, no one buying them. The market has met it's mark. That is why Subaru said they would only build 5000 a year. The dealers where I live, of which I know all three sales managers, state the popularity has fallen off. I'm no fly by night young fan boy, I'm 62 years old and have owned 21 Subaru's since 1982, I know the product very well, so when I say, it will hurt WRX sales , I'm really confident on that, a hatch has been part of the WRX line up since it came to the US, in 2002, and to take it away, is going to cost them !!! Sales numbers, they have sold 57 units in two weeks, I can remember when these units , if people were really interested, would have sold out in less than a week !!! More likely just days !!! I have pre-ordered my 2015 WRX and I am happy to do so. I've been wanting a WRX for many years, so this has been on my bucket list for some time. I have been a HSV owner for 15 years, having owned 3 clubbies and a GTS. The running costs for the big V8s are over the top, so I am looking forward to improved fuel economy and overall reduction in maintenance costs. If the car as delivered isn't quite as awesome visually as you'd like, a body kit will fix that easily. That's what they do to make a HSV look so darned good from a standard commodore. I also put a racing body kit on an RX7 I owed years ago, and that that transformed that car from mediocricy to an awesome head turner. For me, it's about refined power delivery, glue like handling, decent technology inside and out, FUN FACTOR, and reasonable running costs. The 2015 WRX fits this for me. I'm not saying the WRX is not a good car, I've owned 4, but they were all Hatchback/ wagons except the 2007 Limited I had, which I found out didn't provide the utility the hatchback did. Where I live hatchbacks out number sedans 4 to 1. The biggest dealer in my area, found out there was no hatchback offered in 2015, they stocked up on 2014 Hatchbacks. Two weeks ago they had 17 Hatchbacks, they are all gone, but the 10 sedans remain ??? I was going to get a 2015 WRX , but when I found out, no hatchback would be offered, I quickly changed my mind. There are many guys that can talk their wife's into getting a WRX , because of the hatchback's utility. Now there is NONE, so It is my believe their sales will suffer. Maybe that is what they want, just like they did with the Legacy GT, they made it into a six speed only, no automatic option, when automatic's made up almost 80% of their sales, and they only sold 1500 in 3 years, so it went away. But given the amount of hatchback's sold, making up at least 50% of WRX numbers sold, according to district manager in our area, so you do the math.